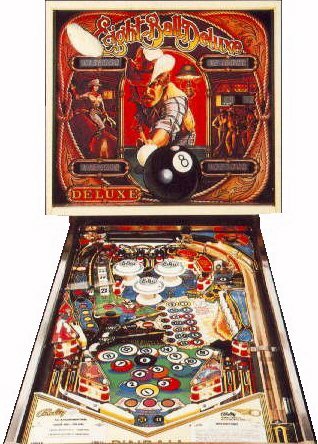 Check out these Eight Ball Deluxe Pinball Machines for sale, which could be found in every Midwestern bar in the 1980s. You will also find parts and accessories for current owners including the ramps, Decals, Manuals, Translites, Insert Decals, and Drop Targets. "Loosen up those trigger fingers, Sharpshooters..."